HabiStat Repti-Sand is the favourite calcium sand out on the market. It is made from pure ground limestone. Available in a range of different colours and sizes. HabiStat Repti-Sand is the favourite calcium sand out on the market. It is made from pure ground limestone. Blue, green or bright pink? Why not choose from the vast range of funky colours available for your vivarium. 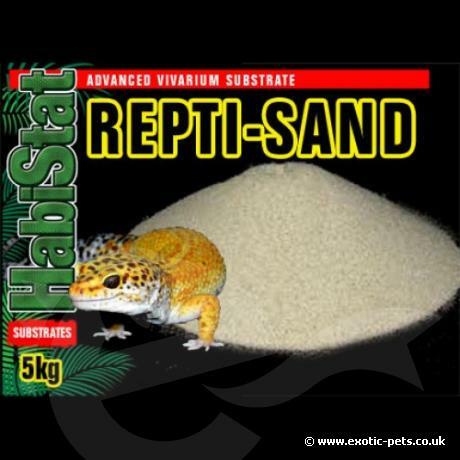 Repti-Sand is perfect for any leopard gecko or bearded dragon setup.